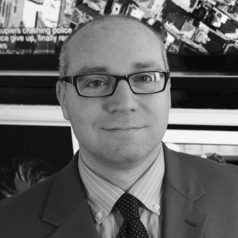 Arie Croitoru is an Associate Professor at George Mason University in the Department of Geography and Geoinformation Science and a researcher at Mason’s Center for Geospatial Intelligence. Dr. Croitoru’s research is focused on developing an algorithmic foundation for deriving knowledge from geospatial information. Within this field, he is particularly interested in harnessing social media (and multimedia) for the understanding of human activity, physical space, and cyber space. He has also made research contributions to several other fields, including image processing, geographic information systems, and spatiotemporal data mining. Dr. Croitoru has received several awards for his research contributions, including the 2012 research achievement award (co-recipient) by the US Geospatial Intelligence Foundation.